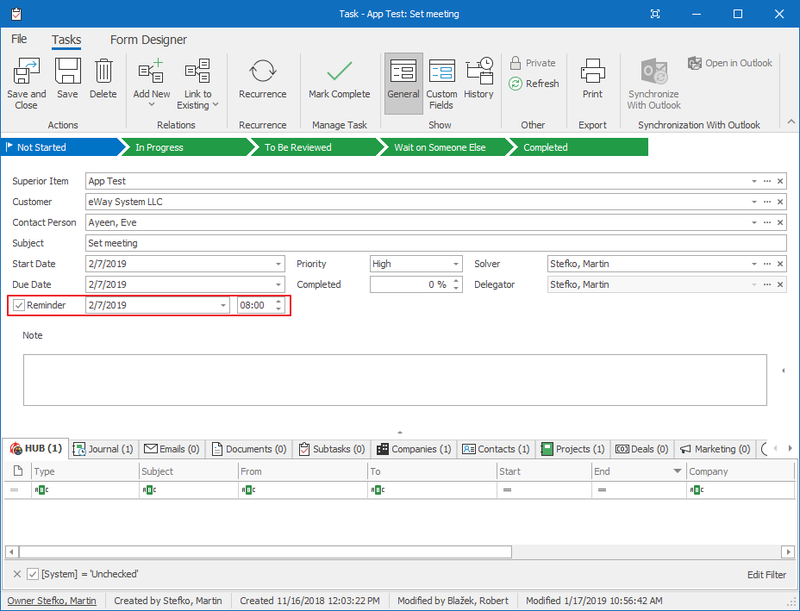 Tuesday with CRM in Outlook! Make sure you don't forget your task. Set a reminder! You can also do this in eWay-CRM Mobile.